People often misidentify self-confidence for egotistical behaviour, and vice versa. These two have a very distinct difference. Confidence is usually backed with logic, reasoning or experience. An egotistical stance, on the other hand, might be backed with, well, some sort of inflexible stubbornness or heavy feeling of accomplishment. Egos — big egos, especially — can be dangerous. They deter self-development and prevent the good flow of ideas and creativity, while also wounding reputation in the process. Most of us fall victim to this — after all, we’re human. We might walk into a meeting so confident in our idea that we unintentionally turn a blind eye to other, superior possibilities or concepts. When we do this, we choose to listen less and talk more, only to find out later that we missed an opportunity to get critical insights. This small list is something I use to keep myself in check. Whenever I walk into a meeting, an event — or to anything where I’m not alone — I tend to follow this. 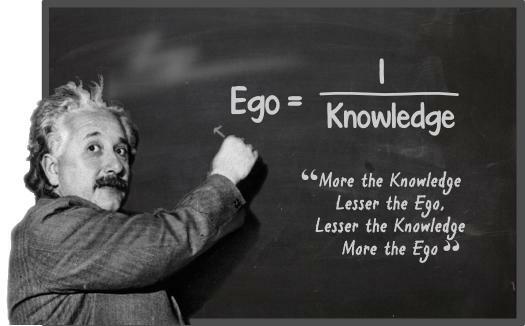 How to Leave Your Ego at the Door | LinkedIn. April 7, 2014 in Careers.